Democrats Abroad Switzerland: DA at Expat Expo in Zug Sunday April 10th! 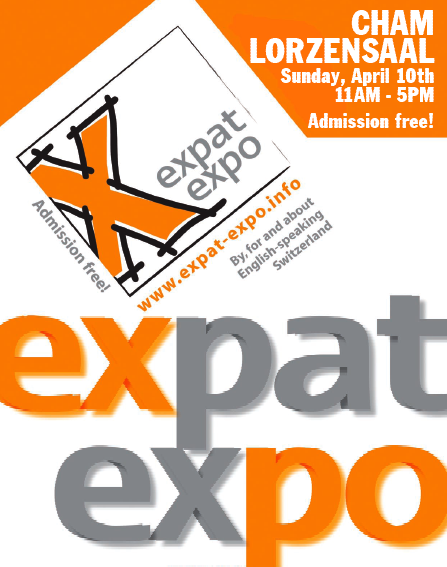 DA at Expat Expo in Zug Sunday April 10th! Dems Abroad will have a stand at Expat Expo in Zug again this year. Come meet other DA members, make sure you are registered to vote in 2012 and find out how to stay linked to politics in the US while living in Switzerland! About Expat-Expo...not just for expats! All English-speakers are welcome to this free exhibition said to "guarantee to enhance your lifestyle in Switzerland...whether you are here for a week or a lifetime... join us for a day of discovery!" In the space of an afternoon, you will find important goods and services such as doctors, accountants and lawyers, schools and day-care, clubs and churches, even specialty food items and much more.